H. E. president Bashar Al-Assad indicated that the aim of his visit to Britain is to promote bilateral relations in the first place. He pointed out that the focus is to develop management in Syria and cooperation between the universities of both countries. He added that Syria is about to introduce private banking and technological development where the British expertise is needed. The president pointed out that it is natural for the two countries to coordinate together since Syria has an important role in the region and Britain has an important international role and is concerned with issues of the region. Regarding Syria's latest vote in favor of UN Security Council resolutions "1441," the president underlined that it is very important to vote with the majority although Syria saw some points in the resolution which she did not like, but voting is one matter and opinion about it is another matter. The president underlined that Syria cannot use the veto because she is a temporary member of the UN Security Council, so Syria voted in favor of the resolution to postpone the US military strike against Iraq with the aim of having a chance to cancel the war option entirely, and this will be one of the issues which is to be discussed during visit to Britain. With regard to the UN inspectors mission in Iraq, the president indicated that the inspectors are part of the United Nations whose resolutions are clear regarding the issues of the world, including the Middle East, and that the problem lies from non-commitment to these resolutions, and this would ultimately lead as Syria has experienced for decades to failure and disturbance, and consequently Syria is concerned about interference in the work of the U.N. on any issue. With regard to the Iraq report on armament, the president underlined that a quick judgment of the 12 thousand pages Iraq submitted to the UN would have direct effect on the fate of the region and would harm Europe as a whole as well as other areas in the world. Regarding the US belief that removing Saddam Hussein from power in Iraq represents a solution to the Iraqi problem, the president underlined that the problems of the region are better solved by the people of the region, and any outside interference will represent a bigger problem. Concerning Syria's oil trade with Iraq, the president indicated that the tests of the pipe line between the two states shows that it is weak and so studies are underway to build a new line with the cooperation with European countries and will surely be in line with the United Nations requirements. Regarding the effect of attacking Iraq on Syria, the president underlined that the trade activities will be stopped and the economy in general will be affected and so will investment and tourism. On terrorism the president underlined that Syria cooperate with the United States in combating terrorism out of her principle and not because of the good bilateral relations, and Syria confronted al- Qaida in Lebanon four years ago in cooperation with the Lebanese army. Regarding Syria's name on the US list of the state sponsoring terrorism, the president indicated that such a list is a politically motivated list and has nothing to do with terrorism. Regarding the offices of the Palestinian resistance groups in Syria, Al-Assad underlined that: such groups are backed by millions of Palestinians who support the struggle of the Palestinian people who have no body to defend them against Sharon who is slaughtering them and so these groups are not terrorist organizations as some might think. The president added that the offices of these organizations in Syria are for information purposes and Syria has a border occupied by Israel and this occupied territory is the occupied Syrian Golan. Other than that area, Syria has no borders with Israel. The president underlined that every peace initiative should have an aim of reaching just and comprehensive peace, and the best way to reach that goal is by the implementation of UN resolutions. 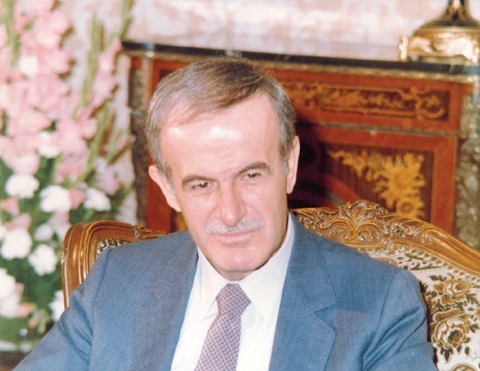 Regarding Lebanon, the president stressed that Lebanon has special importance to Syria because of the historical and social ties between the two states. Regarding the Syrian troops withdrawal from Lebanon, Al-Assad said that it is natural for them to withdraw because the Syrian army presence is contemporary and during the past years the army made redeployment because the Lebanese army has become capable of replacing the function of the Syrian army and the Lebanese state has become stronger. His Excellency President Bashar Assad received here yesterday Reuters Editor in Chief Geert Linnebank and Mr. Barry Mode, Editor in Chief of North Africa and Mideast Section and Mrs. Samia Nakhool, Reuters Editor in Chief in Syria and Lebanon, in a comprehensive interview regarding conditions in the region, cleansing war by Sharon against Palestinians, as well as threats against Iraq. President Assad reiterated Syria’s opposition to a strike against Iraq saying: "You cannot change the regime without killing millions of Iraqis." "Our concern is about entering the unknown. Even the United States does not know how a war in Iraq is going to end." Asserting that " there was no justification for a U.S. war on Iraq, it would kill millions of people and plunge the whole Middle East into uncertainty." "What America did in Afghanistan is not applicable to Iraq. Afghanistan was a piece of cake compared with Iraq." Added the President. President Assad added that any strike would result in : "Impoverishment, a flood of refugees and many other aspects directly and indirectly in the region...the political effects are impossible to predict." I believe this kind of division would affect the whole region... 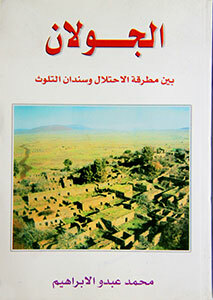 The whole region has similar religious and ethnic divisions. It would be difficult to predict where it would end. If this did take place it would be the most dangerous thing that could happen." He said U.N. weakness had opened the way for disputes to be solved by force and intimidation. "There is a weakness in the United Nations and it is reflected on Iraq and the Middle East peace process. "The fundamental factor leading to international chaos is the absence of a role of the United Nations." 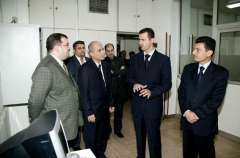 "There is nothing in the charter of the United Nations that says any country has the right to change the regime of any other country," Assad said. 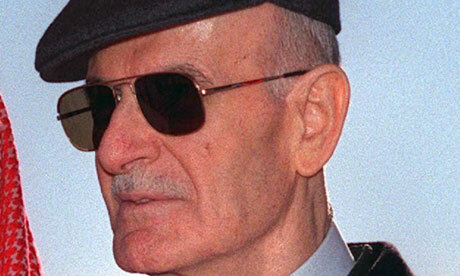 "You cannot change the regime without killing millions of Iraqis." He said U.N. weakness had opened the way for disputes to be solved by force and intimidation. "There is a weakness in the United Nations and it is reflected on Iraq and the Middle East peace process. "The fundamental factor leading to international chaos is the absence of a role of the United Nations." "We certainly are against the use of military force as a general principle. Nobody should go to war because he does or doesn't like this or that country. His Excellency noted that any U.N. draft resolution on Iraq now under discussion should include provision for all sanctions on Baghdad, imposed after the 1991 Gulf War, to be immediately lifted if the inspectors did not find weapons of mass destruction. He said U.N. weakness had opened the way for disputes to be solved by force and intimidation. "There is a weakness in the United Nations and it is reflected on Iraq and the Middle East peace process. "The fundamental factor leading to international chaos is the absence of a role of the United Nations." 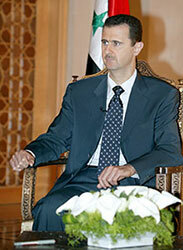 President Bashar al-Assad said that Syria has never set any conditions on achieving peace in the Middle East. We always say that Syria does not have certain conditions at all ... when Syria speaks about the bases for peace, it refers to the necessity of implementing Security Council resolutions and Madrid terms of reference, he told the Italian daily Corriere Della Sera on Thursday, February 14, 2002. and published today. Israel is the only country that refuses to talk about Security Council resolutions and the United Nations, and it refuses to adhere to the international will, the President added. Syria is ready for peace now, he said and there can be no peace without the full return of the Golan Heights with no exception. 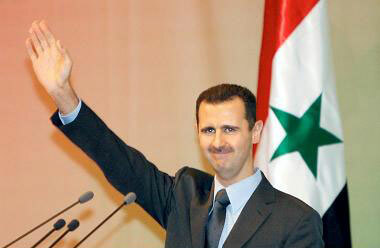 Mr. President: You are welcome in Syria. The Interviewer: Thank you for great hospitality. Mr. President: I heard a lot about your newspaper. I have not met any Italian journalist, but I have met with a lot of politicians and parliament members, especially after the 11th of September which ignited European movement especially in the Middle East. Of course the problem lies in the lack of communication, not communication in the technological meaning, but in the human meaning. That is what we need; we need to have more dialogue, more communication. I do not think we are going to start this communication now between the Syrians and the Italians because we have a history of two thousand years, a common history. You know that Syria gave the Roman Empire eight Popes and five emperors. When the Pope came to Damascus last May, I told him we were watching your pilgrimage. Do you mind if I carry on in Arabic? because I lived for only two years in London from 1992 to 1994, and it has been 8 years since I left there, so my English has deteriorated a little bit. And I was a doctor, I was not a politician in England. The Interviewer: (laughing) It does not seem that your English has deteriorated! Mr. President: So I said to the Pope that your pilgrimage was not completed until you visited Damascus because Christianity, although it appeared in Palestine, we protected and then went to the world from Damascus. But he said to me Syria was part of the Roman Empire. I said to him زit is the contrary because we gave the Roman Empire eight Popes and five emperors. I feel that this communication and contact are very important with the entire world, and I could see that Europe is entitled to play a very important role in that regard. Of course, the southern European countries are more capable of playing this role. I meant the Mediterranean countries of course, as I said, due to the similar social nature and the historical relations also. Of course, I thank you for the topics you have mentioned that you would like to talk about, but you can feel free to talk about anything you like. The Interviewer: This is very kind of you. 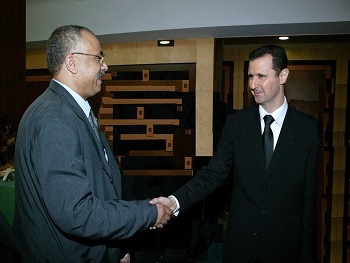 Mr. President: Is it your first visit to Syria? The Interviewer: It is the first but not the only because I plan to come over again because I was pleased. I came here in 1983, so I spent my first week in Syria at that time. 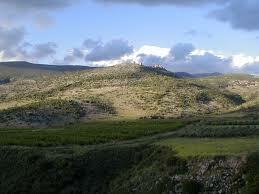 Syria is a beautiful country, a beautiful place. Mr. President: We have a very common history. You know Caracalla path in Rome! Caracalla was one of the Syrian Emperors. I am ready to hear your questions whenever you want. The Interviewer: If you do not mind, Mr. President, we start with the last developments, let us say those related to Iraq. You know there are, in a certain way, different messages arising in the region, but the other day, apparently, the possibility of an attack against Iraq increased. Of course, the problem for Syria now is not the same as it was in 1990 when you were with the allies against Saddam Hussein in order to liberate Kuwait. Now, the relations between Syria and Iraq are much better than they were at that time. So, what are your expectations in case something like this happens? Mr. President: First, I would like to check some of the idioms. When we took the position in the 1990s with the allied forces, we took a stand in support of liberating Kuwait and not against Iraq. The other point is that there is no animosity between Iraq and us. On the contrary, our relations with Iraq at the peoples level have always been good. In the past there were political differences, but for quite few years we have both gone beyond these political differences; we have overcome them. But our stand towards what you have just mentioned is not linked to all these issues. It is linked to something larger, to the international framework. It is linked to concepts that are being now talked about at the international level. These concepts are going perhaps to decide the future of the world in the short and long run, especially the concepts that had been talked about for the last fifty or sixty years like democracy, justice, human rights and other idioms that are linked to these. The question that should be asked is: Is there any justification to strike Iraq? Is striking Iraq a part of combating terrorism as the entire world has been talking about this issue now? Is striking Iraq going to achieve justice and human rights for people who are deprived of their rights, or is it going to bring more injustice and lack of human rights? I think striking Iraq is contradictory to all these concepts of democracy and human rights. What happened in the 1990s is very different from what is happening today. There was an international consensus about what had happened then, and there was a legitimate and legal handling of what was going on related to international law, to the United Nations Charter and to social values that reject an aggression against another country or another people. What we are witnessing today has nothing to do with any international law or international charter. Today, all the European officials, with whom we have met, are, without exception, against striking Iraq. And of course all the Muslim and Arab countries, without any exception, are against striking Iraq. So, the most dangerous thing now is that are we living in a world where only one opinion prevails? It is very natural for us as a neighborly country to Iraq and as an Arab country, to sympathize with the Iraqi people and to be against striking Iraq. But I am talking about the issue at an international level and from a far-reaching perspective. I think that for the last thousands of years the world has not been dependent on a unilateralist perspective as it does nowadays. This means that we are really entering into the unknown, and striking against Iraq is a very dangerous step of entering into this unknown.